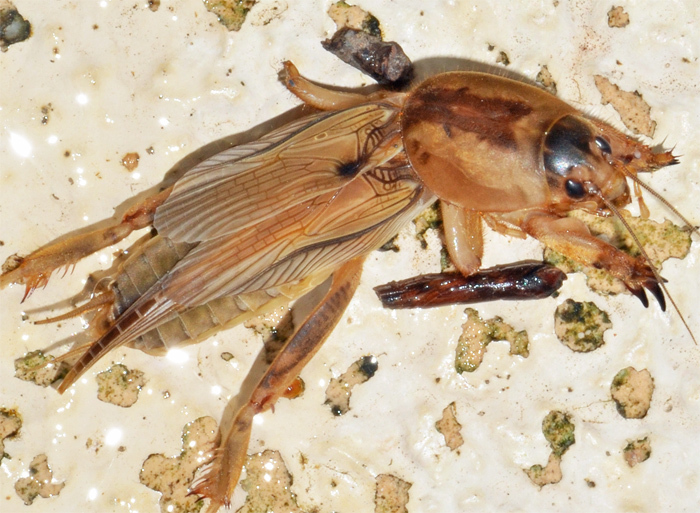 Scapteriscus vicinus (Tawny Mole Cricket). Size: approx. 25 mm. Photo: 04/02/16, noon. 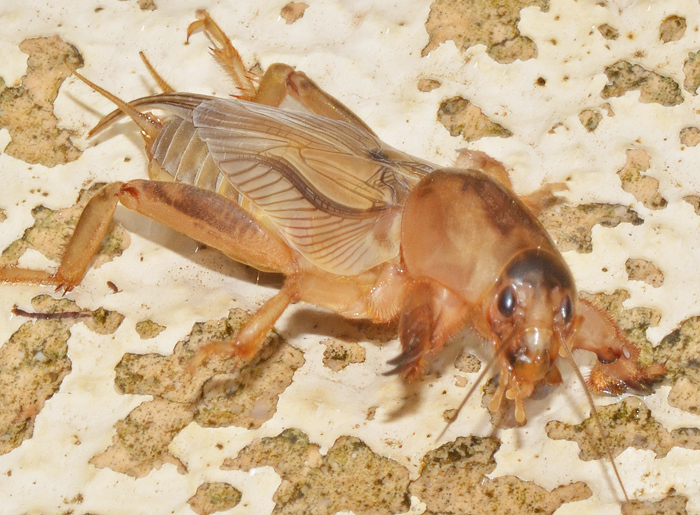 These mole crickets feed on animal as well as plant material and are sometimes a serious pest of turfgrasses and crops especially tomatoes and strawberries in the seedling stage. They arrived here from South America over 100 years ago. 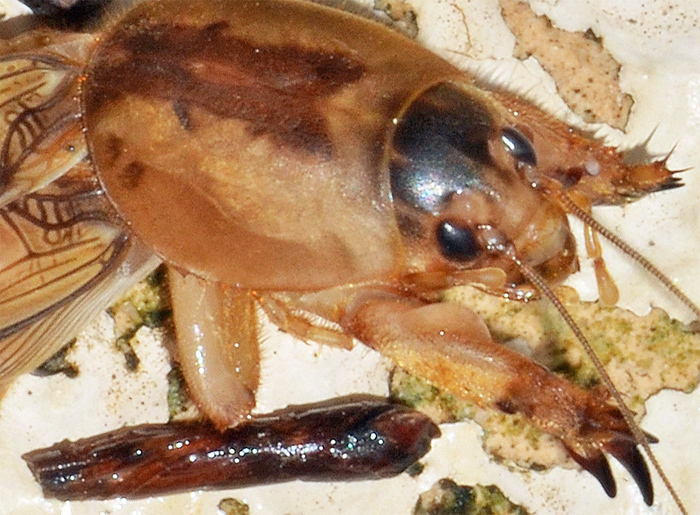 Males call from the enlarged entrance to their underground burrows to attract females at about 130 Hz during the first 90 minutes after sunset.